Why You Should Go: Bummed about Fall Retreat being over? Bummed about your onerous workload? St. Lucia’s giddy synthpop riffs will bump your blues away and have you feeling as ecstatic as when President Thornbury addressed us at Convocation. St. Lucia is a really catchy, happy indie pop band that will keep tapping your feet to their blissful beats. 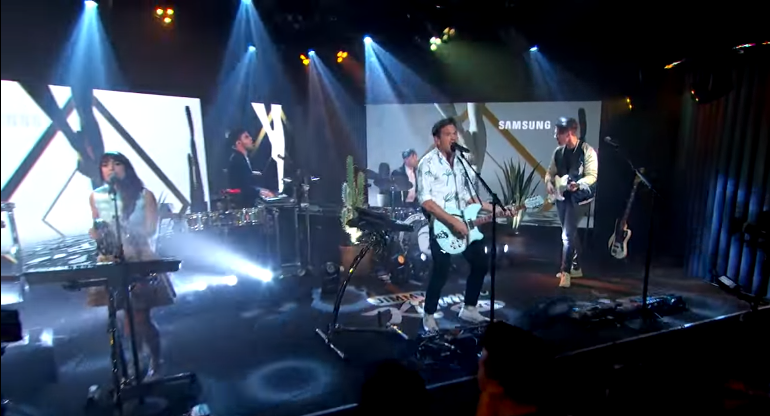 Try not to smile watching their performance of “Dancing on Glass” on Jimmy Kimmel below. Why You Should Go: Featuring on the killer Friday Night Lights soundtrack, Explosions in the Sky is a post-rock band which means that instead of using their guitars for riffs and power chords they focus on producing a more dynamic tonal experience. They don’t have a vocalist or any computers but produce a out-of-worldly experience with their slow-building instrumental rock that eventually crescendos in magnificently transcendent releases. Their song “The Only Moment We Are Alone” is a great example of this and has the most beautiful section of any song I’ve ever heard, which you can hear starting at 8:27 below. Why You Should Go: Tourist is the project of 29 year old Brit William Phillips. Phillips won a Grammy for writing Sam Smith’s hit “Stay with Me” in 2015, and has enough sick beats of his own to guarantee a sick show. He is playing the same night as Explosions in the Sky, and you should head to Tourist if you like computers and funky electronic beats more than instrumental rock. Plus, you should boogey over to Williamsburg as many times as you can before they shut the L train down. Most Tourist tracks don’t have a vocalist but you can listen below to his biggest track with Josef Salvat and Niia “Holding On”. Why You Should Go: If St. Lucia is the happiest the band around, Penguin Prison is a close second. Penguin Prison’s upbeat groovy tunes are another perfect anecdote for fall blues. And don’t worry animal lovers, Penguin Prison does not condone animal captivity or cruelty. The Brooklyn based electropop project of Chris Glover actually advocates for abolition of any penguin prisons around the world. Plus, Penguin Prison is playing at the newly re-opened Brooklyn Bazaar in Greenpoint. You can pick up handknit Albanian undergarments, down an organic tofu meatloaf and catch a cool concert all in one night. Listen to a live performance of “Show Me The Way” below.